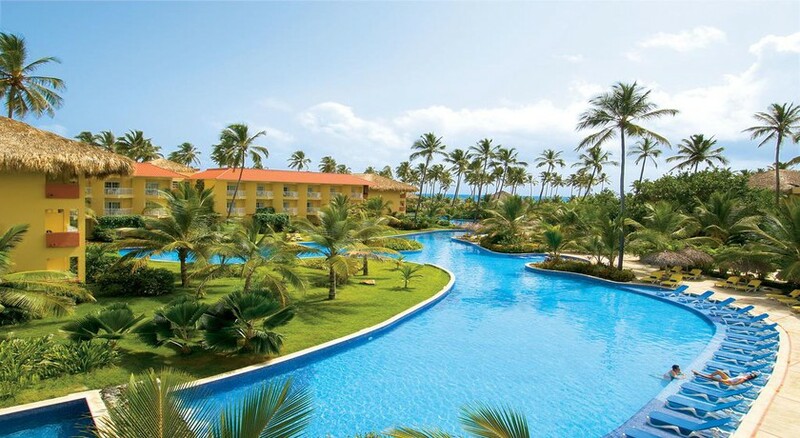 The Dreams Punta Cana Resort & Spa is located on one of the most beautiful beaches in northern Dominican Republic – the Uvero Alto. Surrounded by gardens, this spectacular complex combines its magnificent location, its fabulous facilities and attentive service to become the perfect place to rejuvenate your mind, body and soul. Its rooms, extraordinarily well furnished, are a display of unrivalled luxury and offer unparalleled views of the mountains, gardens or the sea. Guests of the resort can enjoy gourmet meals from various cuisines including Asian, Italian, French and international at the glamorous restaurants. Guests can also enjoy the pool with waterfall, which goes down from the lobby to the beach, the indoor pool or the children's pool. They can also take advantage of the gym, try their luck at the casino, pamper themselves at the spa or simply have a great time with the entertainment program. 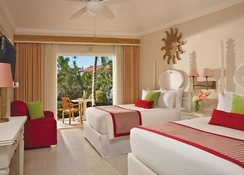 Dreams Punta Cana Resort & Spa is located on the north coast of the Dominican Republic, on the beautiful sandy beach of Uvero Alto, one of the most beautiful coasts of this Caribbean island. The Uvero Alto shopping centre, with gift shops, is only a 10 minutes’ walk. 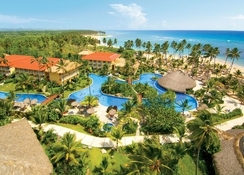 The property is 40.5km from the Punta Cana International Airport and 70.1km from the La Romana International Airport. The beautiful rooms offer amazing views of the mountains, the lush gardens or the sea. All guestrooms come with an en suite bathroom, hairdryer, direct dial telephone, satellite TV, internet connection, a minibar, a safe, a king-size bed or two double beds, an alarm clock, blackout curtains, a ceiling fan and individual air conditioning and balcony or terrace. 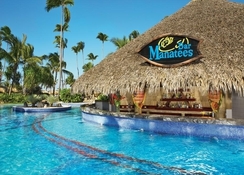 Treat yourself to a host of drinking and dining options at the Dreams Punta Cana Resort & Spa. The resort features five themed a la carte restaurants, a café, a pizzeria serving authentic Italian signature pizzas and also options for a buffet meal. 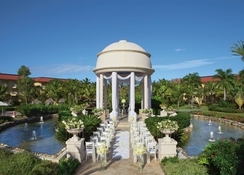 Dreams Punta Cana Resort & Spa offers a wide range of activities for all tastes. It has a large pool with waterfalls, which extends from the hall to the beach, an indoor pool and a children's pool. In addition, it has a snack bar, hot tub, sauna, gym, body care treatments, such as massages (with extra charge) and both terrestrial and aquatic sports activities such as basketball, volleyball, badminton, tennis, table tennis, billiards, petanque, archery, step, aerobics, yoga, diving, catamaran and horse riding (extra charge). Children will have a great time in the Explorer's Club (from 3-12 years old) and an entertainment program is also offered.